October | 2013 | YesBiscuit! I was so nervous, I was shaking. When my voice started to shake, I took a breath and plunged on. I had practiced this speech a lot (while out walking dogs – surprisingly good time to practice speeches) and did fine on autopilot. It’s very hard for me to speak publicly as I am a serious introvert and never comfortable in any situation more formal than grocery shopping. But I did it. A reporter asked me for my phone number afterwards and two men out in the lobby thanked me for speaking. One said that he was impressed and that what I said was important. The other said “people need to know”. The representative from the Treasurer’s office also thanked me and told me about the two kittens found in a ditch she’s just taken in. I told her that I was super nervous, but that I would get better with practice and I’m coming back every week until I get what I want. Thank you for speaking publicly on behalf of the cats at the Medina Co pound, Ms. Post. We need more people willing to speak at public meetings of elected officials about ending the killing of shelter animals. 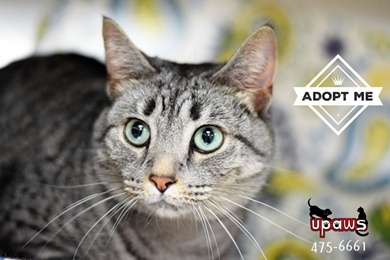 I’ve supported the Medina County Animal Shelter. Every dog bed in the shelter, I donated. Every cat bed in the shelter, I donated. I’ve filled my car with food, litter, cleaning supplies and toys and driven it out to the shelter to donate it all. I’ve donated collars, leashes, and carriers. In the winters, I donated giant buckets of pet safe ice melter so shelter workers and dogs would not slip on their way to the outside kennels. I’ve gone to Beuhler’s and gotten a giant circle sub along with 24 gourmet muffins and brought it all to the shelter staff to thank them for their work in our community. The Medina County Animal Shelter was on my tithing list and got $100 a month, every month, from me. I supported Medina County Animal Shelter. It’s important that you understand this. The Medina County Animal Shelter is mismanaging over 250 cats per year to death. When a stray dog enters the shelter, he is scanned for a microchip, his picture is taken and put up on PetFinder, and he is held for a period of time to allow his owner to reclaim him. The live release rate for dogs at our shelter is 92%. When a stray cat enters the shelter, he is put into a cage and made available for immediate adoption. He is not scanned for a microchip, his picture is not taken, and he is not advertised in any way. The live release rate for cats at our shelter is 45%. The shelter staff says that they do not have time to market their cats. If they did not have time to feed their cats, and cats were dying from lack of food, you would say that it is irresponsible and unethical for them to continue to take in cats. There are cats at the shelter RIGHT NOW who would survive their shelter stay without food. They will NOT survive their stay without marketing. Given the fact that marketing is at least as important to the cat’s survival as food, I contend that it is irresponsible and unethical for the shelter to continue to accept cats in any way, shape, or form. Let Medina County Animal Shelter go back to doing what they do best and be a DOG ONLY shelter. Otherwise, I would propose that we change the name of the shelter to better reflect their function within our community. We can call it, “Medina County Dog Shelter and Cat Disposal Facility.” Because right now, that is how our shelter is run. Added, 10-30-13: Readers Clarice and db have offered to donate to whoever helps Bo. 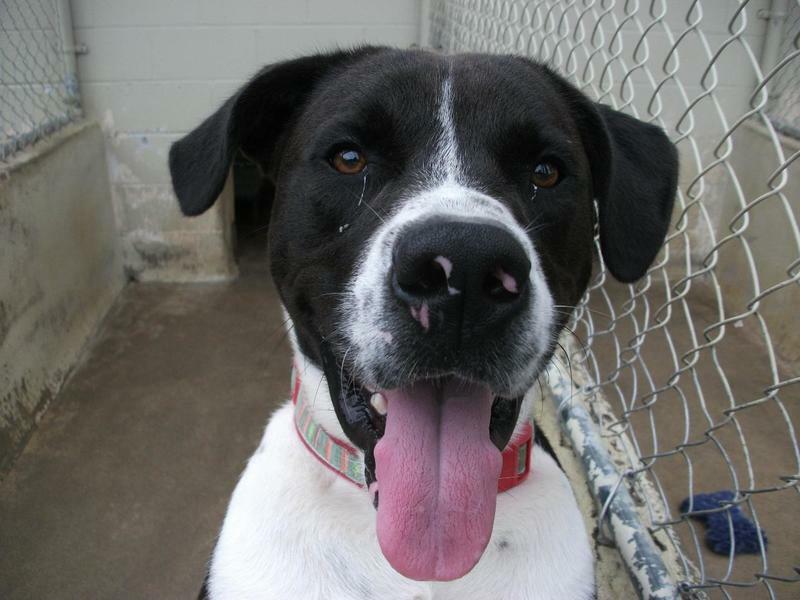 Bo, as pictured on the Petfinder website. He is at the Franklin Co Humane Society in Frankfort KY.
Today I received a note from a reader, asking me to feature a dog at the Franklin Co Humane Society in Kentucky on the blog as he is going to be killed on Friday and the reader really wanted to help find him an adopter or rescuer. I needed to verify the information about the dog being scheduled for killing on Friday so I wrote to the contact e-mail address provided. 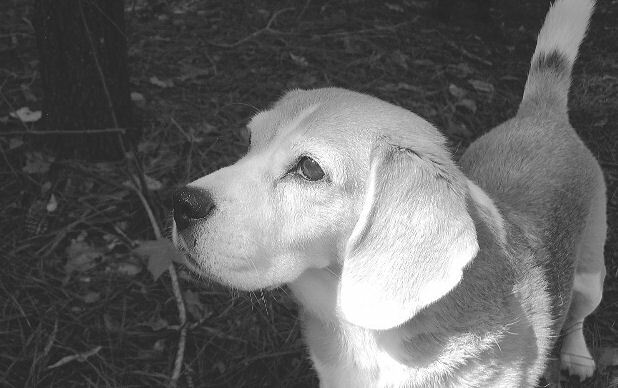 I am planning to feature this dog on my blog today, per a request from a reader. Are you affiliated with the facility that is housing this dog? I am trying to confirm information I was given – that he is on the kill list for Friday. I only want to include accurate info in my post. I am the shelter’s Rescue Coordinator and yes he is on the list however my shelter manager will not allow our animals to be posted online with a euth notice because of the negative feedback the shelter receives. The staff does not have time for harassing calls and emails. Please stress the he has been in and out of our shelter for over a year and time is of the essence but do not use the word euthanasia or give a date. Give my email address as the contact and I’ll expedite any interest in him. Thanks. Thank you for the information Jeanine. If he’s on the kill list for Friday, I’ll be saying so. I don’t play fancy dress up with people who kill pets. Facts are facts. I get them and I tell them. I will be happy to include your e-mail address as a contact. We are a county open admission shelter taking in thousands of animals a year and people don’t understand the lack of resources and shelter space so thanks but no thanks. Do not post our shelter dog. Shorter: We’d rather put a dog in the dumpster than have someone tell the truth about the killing we do here at Franklin Co. This year the shelter alone (without the thrift store) essentially broke even. We have income exceeding expenses by $69,076 for the 12 months ending in June. […] Assets went up from $340,000 to $470,000. Sam noted this was a good turnaround we should be happy about. August 24 – Microchip and license sales at Petco from 11 ‐ 2. Lauren will attend with a volunteer to help with this endeavor. Normal cost is $25 but will only charge $20 (cost is $10 so there will be a profit). Upon recommendation by the Evaluation Committee, a motion to approve a 3% raise for [shelter manager] Nancy Benton retroactive to July 1, 2013 was made by Ray Smith, seconded by John Hibbard. Motion approved by all except Linda Thomas opposed. Motion carried. Shorter: Income exceeding expenses, selling microchips at a 100% markup, give the manager a raise. But I guess I don’t understand about “the lack of resources” at this profitable facility where the staff is going to kill Bo instead of doing their jobs. If you are interested in helping Bo, please read his particulars then contact the Franklin Co HS. Oh and I wouldn’t mention that you saw him here. Not that anyone who works in a shelter would kill an animal out of spite but you know, negative feedback and resources and stuff. Let us know if you need help. The Escambia Co pound in Florida can’t stop oops-killing owned pets. Two months ago they oops-killed Cowgirl, then a few weeks later they oops-killed Maggie. Yesterday, a report surfaced of a third lost pet being oops-killed by Escambia County. Details are sketchy but apparently the dog had been impounded as a stray, held at the pound for a week and put on the kill list as unadoptable. A scan determined he had a microchip but the pound says the phone number was not current. As part of its service, the company with which the chip was registered e-mailed the owner. She responded to the e-mail and called the Escambia Co pound to reclaim her lost dog. But the pound had already killed her pet. Oops. The shelter says it’s not typical policy to put down a dog who is micro chipped, but they’re looking into the incident and will revamp its procedures. I hate to get technical but apparently “typical policy” at the Escambia Co pound is KILL, KILL, KILL. A revamping of procedures is not going to cut it if meaningful change is desired. They need to throw out the SOP handbook, burn it and have everyone at the pound dance around the fire to underscore that the old policies are DEAD, DEAD, DEAD. And one thing the shelter did say was for all pet owners out there to make sure they have updated information on their micro chips. When shelters oops-kill pets whose owners are looking for them instead of doing their jobs and reuniting families, they are failing at the most fundamental level. In attempting to hide this fact, these places typically blame the owner. If the owned pet they oops-killed wasn’t microchipped, they blame the owner for failing to have chipped the pet. If the phone number has been changed, they blame the owner for not updating it. I swear to the Great Pumpkin, if an owner taught a pet to write “Do not kill me. My owner will pay your ransom. She lives at 111 Main St.”, the shelter would blame the owner for not attaching a sharpened pencil and notepad to the collar after oops-killing him. The presence of a microchip means someone, somewhere, sometime loved this pet enough to try and protect him from being needlessly killed by a shelter that won’t do its job. Somehow the presence of a microchip means “Try one phone number then kill him” to Escambia Co. What about alternate contact phone numbers registered on the chip? What about e-mail? What about registered U.S. mail? What about driving to the person’s house and knocking on the door to announce the good news that the pet has been found and is being returned home? But apparently all that sounds too much like work to Escambia Co, where they just keep going with KILL instead. I often rely upon the notion that it takes three points to draw a line. Three oops-killings in two months at this pound (at least, three that we know about and have made the news). Escambia County, here is your line: You are failing your community, utterly and completely. Quit blaming the victims, forget reviewing your protocols and start doing your job to shelter the animals in your care. A brick and mortar rescue group called All About Animals in Macon, Georgia suffered a tragedy this month. On the night of October 16, some person or persons apparently went into the no kill shelter and opened the doors on the pet cages. When volunteers arrived at the shelter the next morning, they found forty loose dogs who had been fighting overnight – two dogs were dead, a third died shortly afterward and fifteen other dogs were injured, many severely. In a statement released Tuesday night, Macon police spokeswoman Jami Gaudet stated there was no evidence that dog fighting was a motive. Police do not believe any other dogs were brought to the shelter to induce the fighting. Mary Crawford, director of the no-kill shelter, said Tuesday she’s been overwhelmed by the flood of local support. A community vigil last Sunday drew more than 100 people, including Mayor Robert Reichert, to the shelter to remember the three dogs killed — Jack, Butler and Flapjack. Besides donations of a security system, cash, blankets, dog toys and medical supplies, All About Animals has a stack of dozens of applications from people who want to volunteer with the group. “We’re getting support like never ever before,” Crawford said. Meanwhile, several Macon-area security companies stepped up to offer a free security system for the facility, which had no surveillance in place when the break-in happened. In addition, two people volunteered to each pay for a year of the monthly security bills. Crawford said the rescue group has received at least $2,000 in cash donations, as well as offers to pay for the dogs’ medical bills and boarding. Some people have donated new locks for the facility, she said. HSUS has given All About Animals a $2500 crisis grant to help with vet bills and renovations. PETA, an organization opposed to no kill shelters, HSUS and the Atlanta Humane Society have each offered $5000 rewards for information leading to the arrest and conviction of those responsible for the break-in. This money is in addition to $3000 contributed by local citizens bringing the current reward total to $18,000. On Tuesday of last week, I was driving home when I saw an emaciated dog running on a rural road. As I slowed my car, she attempted to approach so I took it she was friendly. I was very close to home at that point so decided to go get her something to eat. We don’t personally have the resources to do the job our taxpayer funded shelter is supposed be doing, but we always try to help as best we are able. At the house, I grabbed a hunk of cornbread that was ready for the dogs’ dinner and Billy grabbed a raw meaty bone. We drove back to the area where we had seen the dog. She was still there and walked right up to gently take the cornbread from my hand. Her tail was wagging like mad when we left her with the bone. On the very short drive back, Billy suggested we should leave her some kibble. So he scooped up a gelato container full of kibble at the house and we returned to the dog eating her bone. Lying down, she was hardly recognizable as a dog, looking merely like an oddly stacked pile of bones under a towel. She was again super friendly and devoured the kibble, although she was willing to leave it in order to return to our car for some love. On the way home, I said we should have thought about bringing her water since kibble makes dogs thirsty. Billy went inside the house and emerged with a container full of water. This time when we returned to the area, the dog was nowhere in sight and her bone was at the roadside. There were two cars stopped in the road ahead, the drivers talking to one another. One of them had a Dalmatian puppy in the cab of his truck but I couldn’t see inside the other vehicle. They drove away and we left the water but never saw the dog again. The only thing I could imagine that would make that starving dog leave her bone was the opportunity for human affection. I assume one of those stopped drivers picked her up. My heart sank when Billy said, “Oh no. I hope they didn’t take her to the animal shelter.” It was a real possibility because so many compassionate people believe their local animal shelter is the proper place to take animals in need and that the people who work there love animals. The truth is that our local pound, like so many others across this country, is little more than a pet slaughterhouse. They kill 3 out of every 4 pets in their care and the only effort that seems to be expended is in covering up the killing and hiding it from the public. They like to promote how, instead of doing their jobs, they ship the dogs they are supposed to be caring for up north, where animals in shelters are also killed. Our local public shelter is no safe haven and if this dog was brought there, she would have very little chance of survival. I’ve been thinking of this poor dog every day since Tuesday. My hope is that she was picked up and brought home by someone who was in a position to care for her. I am clinging to that hope. If it weren’t for the actions I hear about every day from the so-called irresponsible public, whom pound directors blame for the killing they do, I would have no such hope. Thank you irresponsible public for defying the labels hung on you by shelter pet killers everywhere. I will keep working for shelter reform so that one day, my local shelter will truly be a safe haven for dogs and cats in need. On August 26 , a 3 year old Florida dog named Cowgirl got lost while the owner, Danielle Riggens, and her roommate were at work. The two women searched for Cowgirl, learning 2 days later that she’d been impounded by the Escambia County Animal Shelter. The pound is only open for 6 hours per day, 5 days a week and Ms. Riggens was unable to get off work before the facility closed. The owner’s roommate, Brittany Ann Meade, went to redeem Cowgirl. Pound staff refused to release the pet to Ms. Meade so Ms. Riggens repeatedly phoned the pound to make sure they knew she would come in personally to redeem the dog on Saturday. She asked what the redemption fee would be so she’d be sure to have the right amount of money with her when she arrived. But the day before Ms. Riggens was to reclaim her pet, the Escambia Co pound killed Cowgirl. Oops. The issue behind the “mistake” was a system of cards used to identify pets at the Escambia Co pound. Pets who were being reclaimed were supposed to have an arrow drawn on the right hand corner of their cards with the word “over” to alert staff that the owner is coming to claim the pet. Someone forgot to draw the arrow on Cowgirl’s card and instead placed her card into the pile of cards for animals to be killed that day. “It was an accident that never should have happened,” said Director Marilyn Wesley of the Escambia County Community Affairs Department, which oversees the animal shelter. “It was just an unfortunate mistake that the card accidentally did not have the marking on it, but it also got mixed in with another batch of animals,” she said. “The life and death of an animal should not be as simple as turning over a piece of paper,” Meade said. Riggens and Meade said they would like to see even bigger steps taken such as computerizing the entire animal card system. Riggens said she also plans to challenge the state’s policy regarding killing pets taken in without identification after three days and those with identification after five. A couple of weeks later, the director of the Escambia Co pound was replaced. This week, Leslie Reeder’s dog Maggie escaped her yard while the owner was napping inside the house. Maggie was reportedly barking at some kids at a bus stop. 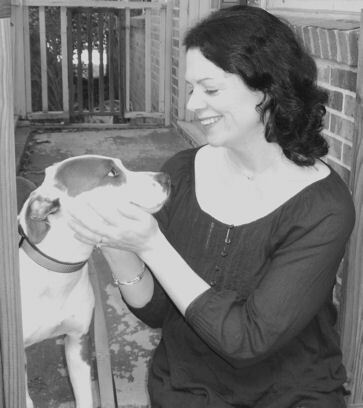 An ACO picked Maggie up and knocked on Ms. Reeder’s door, waking her. The ACO advised Ms. Reeder that Maggie was on the AC truck, sedated, that she was receiving 2 citations which she must sign and that she could come to the Escambia Co pound to redeem her pet. Ms. Reeder signed the paperwork without reading it. In fact, what the ACO told Ms. Reeder and the paperwork provided to her were conflicting in nature. One of the forms Ms. Reeder signed included a surrender paragraph, giving Escambia Co permission to dispose of Maggie as it saw fit. Maggie was driven to the Escambia Co pound and immediately killed. Ms. Reeder says that if she had any idea of the true contents of the form, she never would have signed it. Why did the ACO take the dog to the pound when he knew where she lived and in fact had spoken with the owner in person? Is it because Escambia County likes to punish owners whose dogs get loose, just as they punished Danielle Riggens by not allowing her roommate to redeem Cowgirl? Why did the ACO tell the owner she could come to the pound to reclaim her pet while giving her a surrender form to sign? Why did the Escambia Co pound immediately kill a sedated dog who could not possibly have been evaluated in any meaningful way? Is barking considered to be an imminent public safety threat in Escambia Co that requires lethal force? Marilyn Wesley admitted no mistake and in fact defended Maggie’s killing, stating the owner signed her right to the pet away. She also told the local news she’s “investigating” to make sure shelter protocols were “thoroughly followed”. Word to the wise: If the shelter’s policies were thoroughly followed and the result is the immediate killing of a sedated, owned dog who barked, I’d say the shelter’s policies need a complete rewrite. And does the county really want anyone who would follow such barbaric polices on the payroll? If the policies weren’t followed, which would seem to be the only logical conclusion here, I guess it will be just another oops for the Escambia Co pound. I hope local advocates are pushing for reform at the Escambia Co pound. Clearly killing is the default for this facility even when the staff knows pets in their care have owners. It’s time to get some compassionate people in there who will do their jobs and actually shelter animals in need. 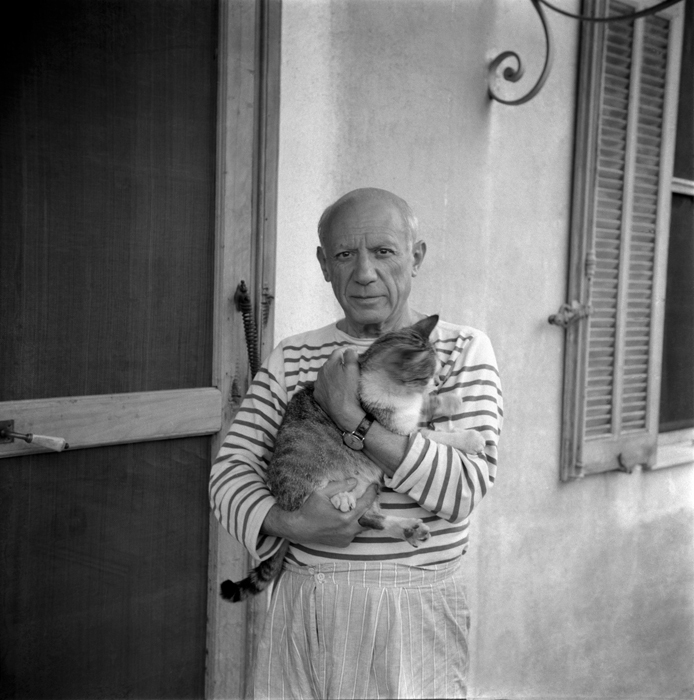 Pablo Picasso, born this day in 1881. Unless you can guarantee your pet’s jerky treats weren’t made in China (you can’t) and are willing to bet your pet’s life on it (you wouldn’t), you should not feed jerky treats. They’ve killed nearly 600 pets in recent years and thousands more have been sickened. The FDA says they don’t know the cause of the poisonings but the treats are still for sale. CNN is airing “Blackfish”, a documentary centering around a captive killer whale called Tilikum, at 9pm Eastern tonight. Not your average napping pandas webcam: Condor Cam shows the rare birds picking apart and eating animal carcasses. The police department oversees the city animal control pound in Lawrence, Indiana. The facility is staffed by one full time ACO. On Tuesday, police responded to a report of vandalism at the pound and found that several windows had been broken. They also found that the pets in the facility were dying from neglect. Covered in urine and feces, malnourished pets were left in their cages without food or water. One dog and one cat were dead at the time police arrived. Rather than take immediate action and get medical care for the dying animals, police apparently tried to hide the evidence by cleaning up the place themselves. While they did so, another dog died. When TV news crews came by, police refused to allow them inside. The sole ACO, a civilian employee, had been on the job for many years. How could this have happened? [Police chief Michael Walton] said the employee had been with the department between 7-10 years, and they’d never had problems with him before. “We saw no need to have to go by and check on this person who had given us many years of decent service, and had never done anything like this before,” said Walton. Yeah but I mean… how do you know? The police chief admits his department never did its job in overseeing the shelter and never checked on how this person was treating the animals. The neglect might have been happening for the past 10 years for all the police chief knows. Nobody bothered to check. And when they finally did discover the abuse, the police cleaned up the mess themselves and locked out local news crews rather than seeking immediate veterinary care for the dying pets. The police department’s apparent attempt to cover up the wrongdoing cost yet another poor shelter animal his life. A state veterinarian is scheduled to visit the facility today and assess the pets who survived the neglect. It’s unclear how many animals are still living at the pound but this RTV6 video report mentions “thirteen dogs”. The ACO has been fired and a city employee has been transferred from another department to replace him. No cruelty charges have been filed. Thank you to whoever put a brick through that window and got the police off their asses and the TV news down there.